From Moscow to Perm by way of Nizhny Novgorod, discover these eye-catching portraits of literary greats, which may just make you look twice at the buildings around you. 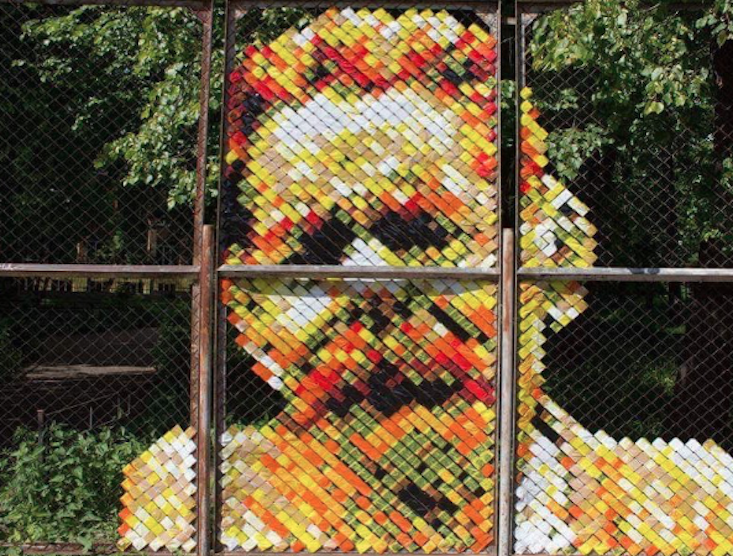 Alexander Zhunev's sticky tape Gorky, located in the writer's native town of Nizhny Novgorod. Alexander Zhunev's black and white painting of the poet Sergei Yesenin, in Perm. Alexandre Farto's hollowed out work of Hermann Hesse on Savvinskaya Embankment in Moscow, created with just a drill and a hammer. Graffiti-portrait of Ivan Turgenev sitting on a bench surrounded by birch trees, which can be found on Moscow's Ostozhenka Street. Graffiti-portrait of Mikhail Bulgakov and Behemoth the Cat on Bolshoi Afanasyevsky Lane in Moscow, the setting for his most famous work, Master and Margarita.